Some people want to put Christ back in Christmas. 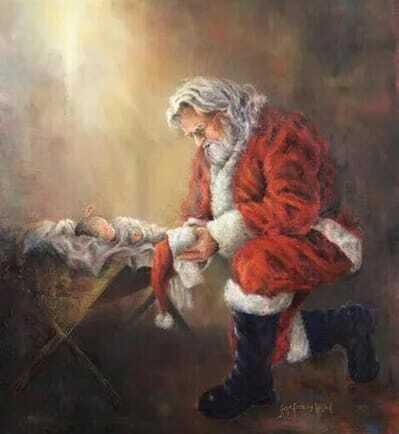 Facebook censored an image of Santa kneeling before our Lord in a manger posted by LifeSite News this year. The image was too damn offensive for Facebook. They blurred out the image on the LifeSite Facebook page. Facebook later allowed the “offensive” image to be seen following protest by Christians. Of course, far left Snopes argues that the image was censored despite visual proof. Saint Nicholas is a Catholic Saint born in the 3rd Century.